REEL 1 Recollections of period as officer with Royal Engineers and as Special Service Officer with RAF in Iraq, 1920-1926: reasons for volunteering for service in Iraq, 1920; character of voyage from GB to Iraq; repairing Dialah River irrigation regulators; maintaining boat bridge on River Euphrates; contacts with Arabs and learning Arabic; introduction to policy of air control in Iraq; need for Special Service Officers to gather intelligence; attachment to RAF as Special Service Officer; tribal difficulties and Glubb’s role as mediator between tribes and government in Samawah area. REEL 2 Continues: air raid on recalcitrant villages and outcome; reasons for resignation of army commission, 1926; gathering intelligence on Turkish intentions towards northern Iraq, 1922-1924; background to Saudi Arabian raids into Iraq, 1924; his role in countering raids. Aspects of period as Administrative Inspector for Iraqi Government in Iraq, 1926-1930: background to taking up role; recurrancel of Saudi Arabian raids; his organisation of police force, local tribes and intelligence system to counter raids from Saudi Arabia and their success. REEL 3 Continues: how the situation was resolved; attitude towards local politicians; insecurity of Glubb’s contract. Recollections of period commanding Arab Legion in Trans-Jordan and Palestine, 1930-1956: background to obtaining contract to form Trans-Jordan desert police, 1930; recruitment to force; ending of raids; his rank of Brigadier; conditions in Trans-Jordan; work of Desert Force; opening up of desert near French administered Syria; role during Arab Revolt in Palestine, 1936. Recollections of period commanding Arab Legion in Trans-Jordan, 1939-1956: taking command, 1939. REEL 4 Continues: responsibility for frontier diplomacy with Saudi Arabia; his relations with Bedouins; work of Bedouin Control Board; loyalty and work of Arab Legion during Arab Revolt in Palestine, 1936-1939; unforeseen Vichy French threat from Syria after surrender of France, 1940; formation and equipping of mechanised infantry for desert; role of Arab Legion in relieving Habbaniyah and capturing Baghdad after Iraq coup, Iraq, 1941; Arab Legion operations in Syria including capture of Palmyra. 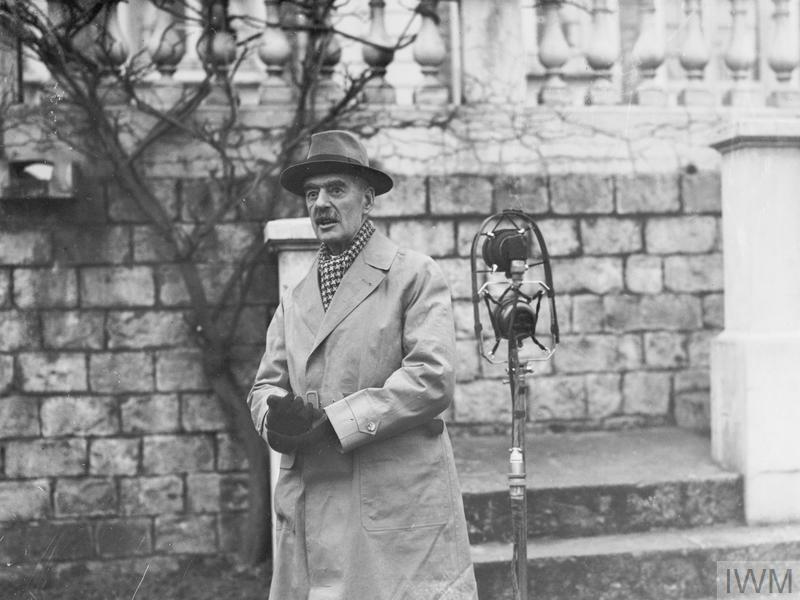 REEL 5 Continues: surrender of Vichy French in Syria; expansion of desert mechanised force; work of Arab Legion in patrolling overland route from Haifa to Russia; contingency plans for use of Arab Legion; internal security duties in Palestine; relations between British and Arab troops; character of troops’ morale and motivation; problems obtaining technically skilled recruits; withdrawal of Arab Legion from Palestine, 1947; visit to London to act as interpreter during meeting with Ernest Bevin over United Nations plan for Palestine; background to Arab Legion entering West Bank of United Nations’ Palestine Mandate; status of Jerusalem. REEL 6 Continues: Arab Legion’s role in blocking Israeli reinforcements heading towards Jerusalem, Palestine, 1948; lack of co-operation between Arab states; ineffective truces arranged by United Nations; reaction to lack of protest over assassination of Count Folke Bernadotte; efforts to produce an acceptable division of Palestine; successful Israeli attack on Egyptians; how Palestinian refugee problem led to guerrilla attacks on Israel; Israeli refusal to co-operate with border controls on Israeli/Jordan Demarcation Line and reprisals against villages in Trans-Jordan; background to his departure from Jordan, 1956 without obtaining successful co-operation with Israelis.